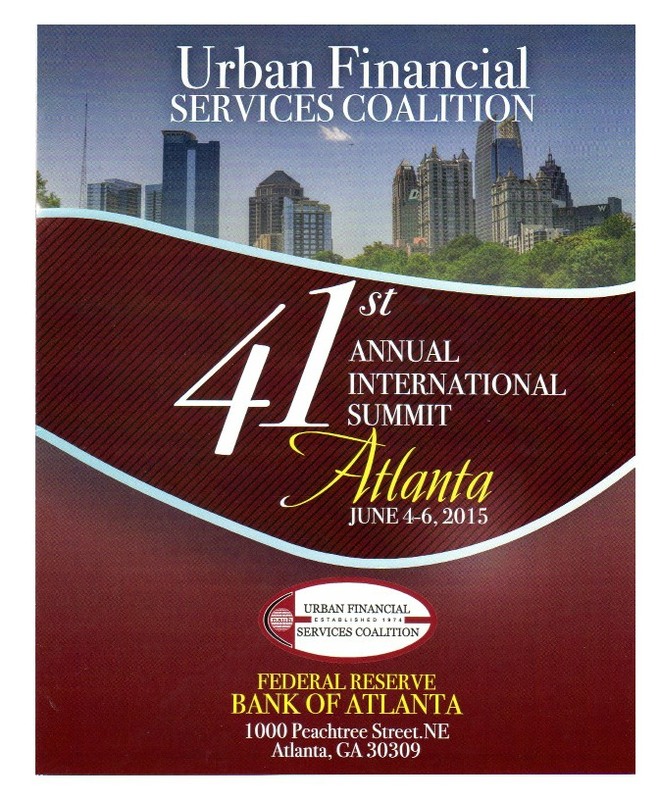 Urban Financial Services Coalition (UFSC) held its 2015 Annual Summit in Atlanta Georgia on June 4-6, 2015. The event was previously held in this city during 2005, and local members and sponsors were excited to again be hosting this important industry event. The Summit provided an opportunity to convene and discuss changes in the financial services industry. The program schedule below outlines the topics presented and includes handouts where available. Our goal was to encourage broad participation of members and friends of UFSC to take advantage of this great opportunity for educational sessions, professional development, and networking opportunities. We hope that you were able to join us for some or all of this exciting event.